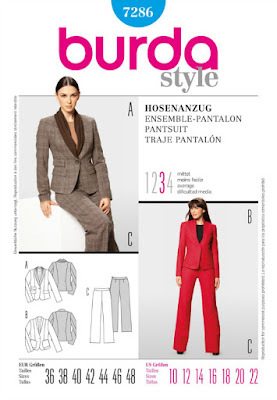 The pattern is Burda 7286, which I bought two years ago and is already out of print. 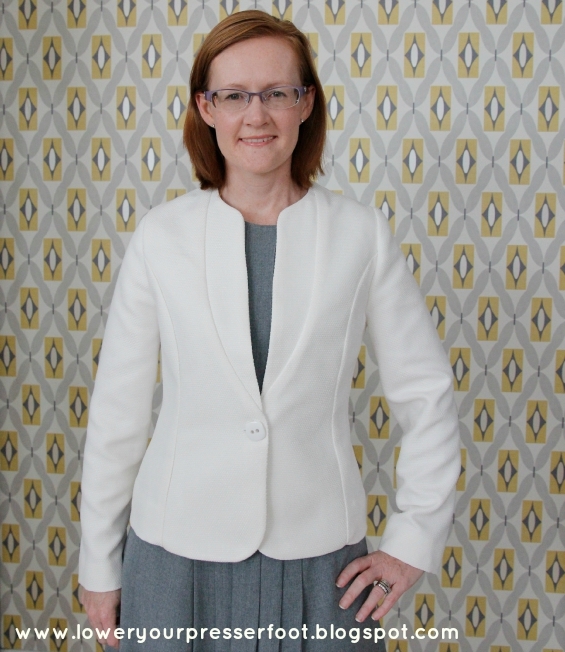 I think it's a lovely pattern, but there are no reviews on Pattern Review and I could only find one other finished jacket from this pattern so I guess it wasn't too popular. Since it was a Burda pattern and I've sewn so many of them I felt pretty confident that it would work without the need for a muslin. I assume the envelope patterns are drafted the same as the magazine patterns because they are from the same company, but this jacket was very big around the shoulders and bust which was a bit annoying. I quite like the front though - it has an inset collar which is probably my favourite style and I do like the curved fronts. I left off the patch pockets because and made faux welt pockets instead because I think that looks a bit more formal. However, those pockets are just the welts because I thought the pocket bag might show through too much - the fabric is a stretch cotton sateen that I have block interfaced with whisper weft interfacing but it still shows the seam lines through a little bit. Funnily enough it's a very similar style to another white jacket I made earlier this year from a vintage Vogue pattern, even down to the same button (it was a packet of two!). Since that version is made from a wool blend it's more a winter jacket so I think they can both stay in my wardrobe - I highly doubt anyone pays that much attention in real life to what I wear anyway! So it probably seems I'm being a bit negative about this pattern but I like the jacket enough to wear it. 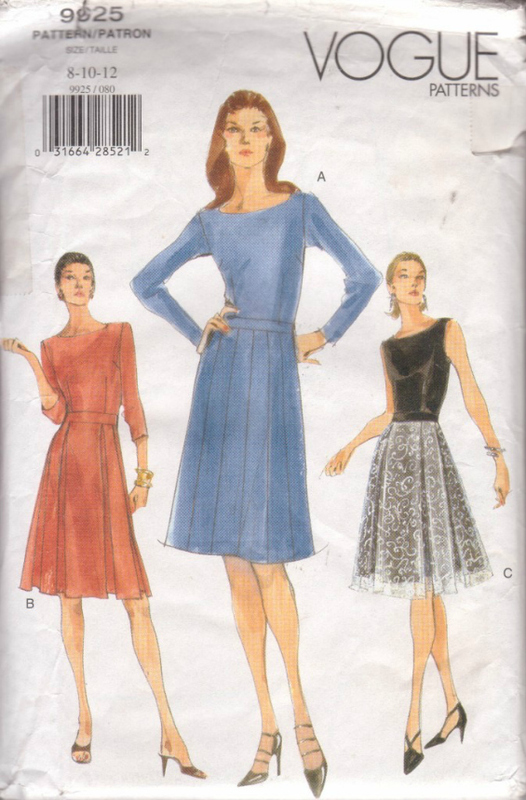 The pattern came together very easily because these style of collars are far easier than a traditional notched collar style and as usual Burda's drafting is spot on - all the pieces and notches matched up exactly as they should. And being one of their envelope patterns there were actually some diagrams to help decipher their vague instructions which is a bonus! So will I make it again? Yes probably, especially in a winter weight fabric because wool is so much easier to steam and mould into a well fitting jacket. Plus I found this gorgeous version on the Tessuti blog which has totally inspired me to do a better version next time. For this project I have used some beautiful Scandinavian fabric from Yulki's Home Décor. 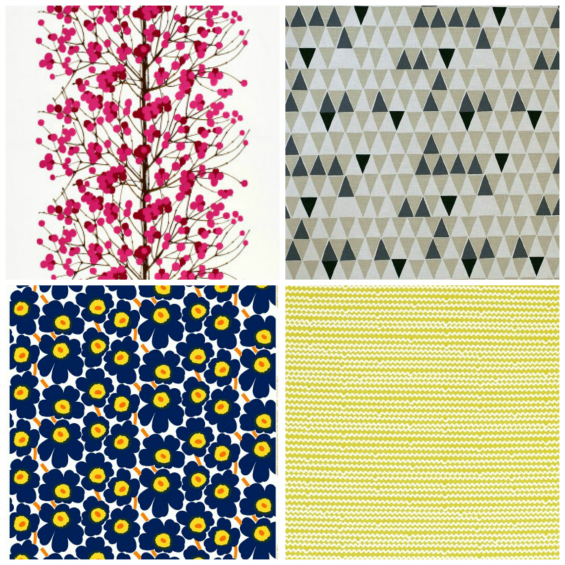 I love Scandinavian fabric as much as I love Japanese fabric - such vibrant colours and playful prints. Yulki's Home Decor is an on-line store based in Hobart in beautiful Tasmania, selling fabrics, tablecloths, cushions and offering curtain making services. They stock a beautiful range of fabrics, which though on the pricier side are definitely very high quality and they are 150cm wide so you do get a lot of fabric per metre. Also, they offer free postage with Australia which is a huge selling point for me when I'm doing on-line shopping. And my Swedish friends tell me that Marimekko and Spira fabrics are expensive in Sweden too, so I think the prices are very competitive. In the end I picked Mustard Vilma by Swedish Spira fabrics which is a 100% cotton with a weight similar to a heavy drill or canvas. I pre-washed in cold water and line dried, and there was only a small amount of shrinkage but thankfully no loss of colour at all unlike my recent disappointment with the navy blue cotton sateen. After washing the fabric softened quite a lot so it's the perfect weight for garment making. The next hardest bit was picking a project - I think curtains from this fabric would look fabulous in my living room with it's white walls and dark timber floor. But I decided to go with a dress because I hate sewing curtains and because it's summer and a colourful dress is exactly what I need right now. The pattern has an inset waistband, which I cut on the waistband grain to make a feature of it and again to avoid having to pattern match (are you sensing a theme here?). It was only after I had finished the dress that I realised that I should have put some white piping in the waistband seams to make it stand out more, but I think it looks good enough not to worry about undoing it now! And you'll note I had to venture outside to take these photos despite my neighbours all having a good sticky beak because this dress just blended in too well with the wallpaper in my sewing room where I normally take my photos! So overall, I love this dress and I particularly love this fabric. If you're in the market for some Scandinavian fabrics definitely check out Yulki's Home Decor and support an Australian business while you're filling your stash with lovely fabrics. Note: I received the fabric used for this project free of charge, but all opinions are my own. 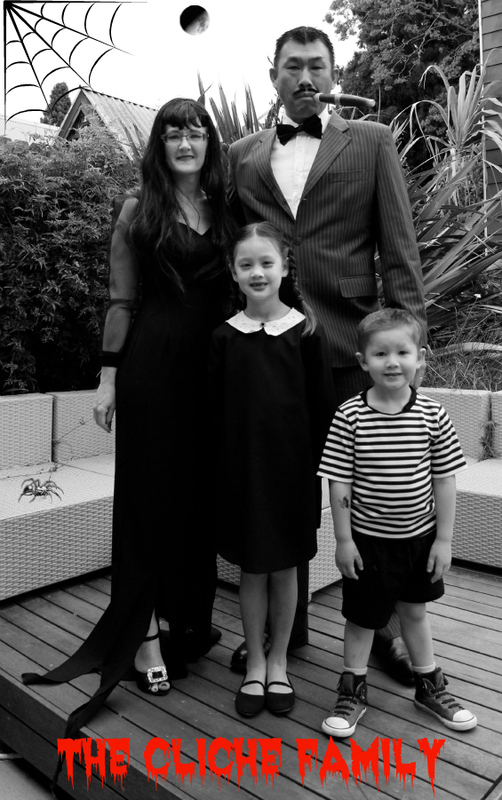 Being relatively new to the world of celebrating Halloween, when it came to all us of needing a dress up costume this year for a party we were invited to I went down a tried and tested path and picked probably the most overdone Halloween costume ever - the Addams Family! Luckily it was quite a quick and easy costume to DIY. For myself as Morticia Addams, I made a long, tight fitting dress from some black wool crepe I picked up in a garage sale a long time ago that had some mothball damage which I thought was quite appropriate. I made it from a 1989 Butterick pattern - once again my stash of 80s sewing patterns has come in handy! The dress has a sweetheart neckline and I just made it extra long so I could cut the bottom of the dress below the knee into long trailing bits. I didn't have enough fabric to do similar sleeves, so I had to make do with some sheer sleeves instead. I accessorised with a long black wig, some false red fingernails, and loads of white face paint and black eye makeup. My husband's Gomez Addams costume was super easy - he already had a pinstripe suit and black bow-tie, all we had to get was a stick on moustache and plastic cigar. The kid's costumes were also pretty easy to do. I made Anna a simple a-line dress in plain black with a white collar, both from fabric in the stash. I put her hair in plaits, a bit of white face paint and black eyeshadow under the eyes and she was dressed too. For Toby's costume I made a simple black and white stripe t-shirt using a Kwik Sew pattern from some ponte I had in the stash - funnily enough this is probably the best quality t-shirt in his wardrobe now! He just wore some RTW black cotton shorts, and a bit of hair gel to make his hair stick up and he was all dressed too.